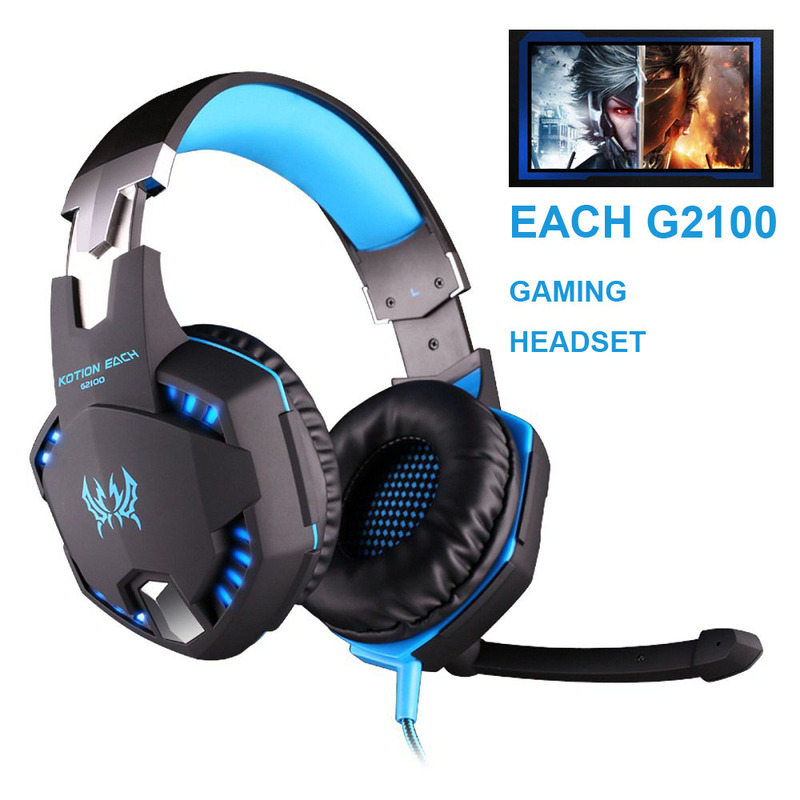 Professhional EACH G2100 Gaming Headset with Vibration Function Hidden Microphone Headphone for Computers Game Gamer Description: EACH G2100 is a professional gaming headset for computer game players. Features 50mm super big driver unit, delivers clear sound and deep bass for Real Game. LED lights are designed with cool light effect on the ear cups, making it look more fashionable and stunning. Smart line-in volume control and vibration function, which let you feel more exciting while playing games. Hidden microphone design, more comfortable in case you do not need microphone. Note:this item without retail package,if you want the package,please contact us.